Some business discussions cause trepidation among even the very strong. One that’s high on the list for team members and employers alike is money, especially when it comes to asking for a pay increase. Occasions that tend to inspire the conversation—or the expectation—include the employee’s hiring anniversary, a new calendar year or even the end-of-year holiday season. I’m not endorsing or supporting the fact that this is a seasonal thing; it just appears to be the trend and has been for years. However, increases could be—and should be—given at any time. I prefer to know that increases will occur during a time when the business is succeeding and when the team members are directly responsible for the measurable success of that practice—not simply because “it’s time.” This particular benchmark seems to make the most sense and should be understood and respected by all employees. It’s not necessarily what we want, need or expect, but rather what is realistic and sensible for the business (as well as what the employee has directly contributed to bringing up the bottom line). For providers of hygiene activity generated in a practice, this should be easy to quantify and justify as a measurable reason to have earned an increase. Things to take into consideration along with proven performance include: employee reliability; the ability to work well with fellow team members and support doctor’s treatment recommendations; communication skills with patients and vendors; and clearly serving as an advocate for the practice. So, does this mean that we should never ask for or expect an increase, even though we were “promised” an increase at time of hire or throughout one’s tenure? I’m not implying this at all; I just want to be clear that it takes a team to maintain a healthy business, and that includes the employer/dentist as well. But when an employee’s contributions directly affect the bottom line of the business’s growth and success, the value of this employee’s contributions should be celebrated and rewarded. This is truly what raises and increases are made of! Sadly, even some of the most astute business owners need to be reminded of this fact, and I believe there are times it takes an employee to bring this to their attention. How might this be handled? How might we initially get the attention of our employer to even make them aware of what a valued employee brings to the table virtually every day that they work with their patients? 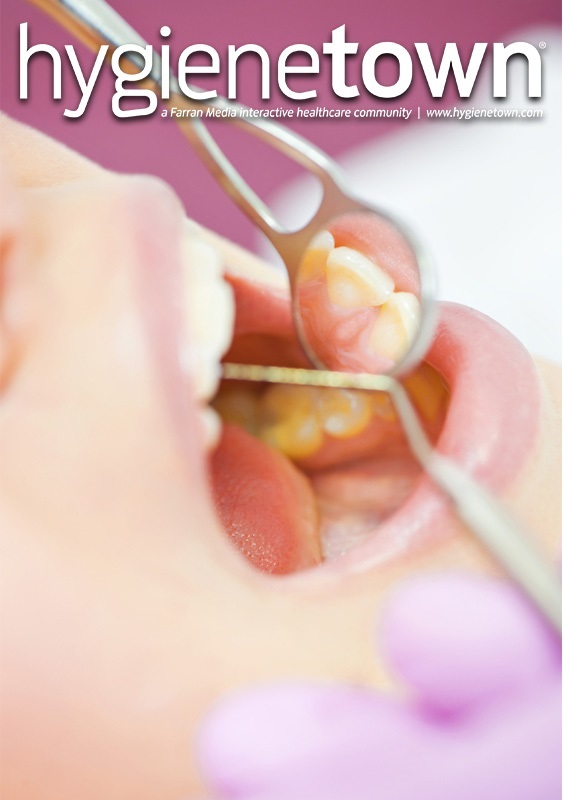 As a hygienist, presenting documentation to illustrate your specific contributions is easy. Your loyalty, timeliness, professionalism and ability to work well with the team may be evident, but the contributions that you make and the production numbers that you’re directly responsible for requires organization on your part. Still, it’s not difficult to create a clear, accurate overview of your direct accomplishments, where your hard work and successes can be viewed and evaluated. Many of you are directly responsible for putting treatment on the books, but do you ever think about showcasing what your efforts deliver to the bottom line of the practice and the dentist you support? Track the contributions made that come out of your treatment room—and how well you’re able to maintain their appointments and proudly manage a patient base that rarely if ever no-shows or cancels. There are treatment recommendations made, education offered, and concerns and questions answered that put patients at ease, encourage them to schedule and follow through on treatment. There’s the kindness and patience you extend to patients that will initiate their referrals and the ability to make every patient visit a pleasant one, assuring patient loyalty. So how do you track and then maintain this information? Much of it is right at your fingertips: Computer records are maintaining much of this information for you, so pay close attention and make sure to manage your contributions as they occur. There are easy templates you can develop and maintain to track additional data that can’t be retrieved from practice management software. The notations that you maintain will also enable you to serve your patients more effectively as well. My recommendations are only as good as the employer who recognizes their value; and sadly, many may not. In such cases, I suggest that you make additional time with your employer to see if there’s a way you can come together via a healthy, informative conversation so you understand what his or her reservation is. If you’ve continued to be on the payroll and had few if any comments from your dentist about lack of performance, reliability issues or anything else that might cause your employment status to falter, and the practice continues to maintain a healthy bottom line, then your documented personal contributions should not be debated. I’ve worked closely with teams and employers over many years and can attest to the fact that there are no guarantees. Heck, there are almost no guarantees with anything, but I can tell you that this approach has proven most successful for the team members who have applied it. Come prepared to share documented examples of what your personal contributions have done to positively affect the bottom line. Preschedule this conversation with your employer, preferably out of the office (I have recommended treating him/her to lunch) and go into it as a time to educate your dentist with accurate information to illustrate the value that you as an individual have brought to the practice. Especially when it comes to busy dentists, sometimes employers need to be reminded to recognize the things they tend to take for granted. This approach offers you the opportunity to accurately prove your worth! Create a simple template or grid so you can gather and track the following information over a significant amount of time. (A minimum of four months should deliver be able to deliver a good deal of information.) These figures and facts can help support your discussion about the positive impact you’ve had on the practice over your tenure. 1. Patients you personally brought into the practice. 2. Patients you personally brought “back” into the practice. 3. Patients who were encouraged by your direct education and influence to schedule treatment that was recommended by the doctor. 4. Saving a patient from cancelling an appointment based on your personal interaction. 5. Recognizing untreated care, subsequently getting the patient on the books. 6. Working personally to maintain a full hygiene schedule. 7. Filling in for a missing team member and assisting with their duties and responsibilities. 8. Always being on time with limited (if any) absences. Be sure your records align with all chart notes and documented information on file. Keep in mind that although tenure does play a small part, it does not necessarily affect the value you bring to your practice. Valued employees accomplish these things without even thinking about it! Sometimes it requires bringing it all to the attention of the employer and this is the perfect way to do it. 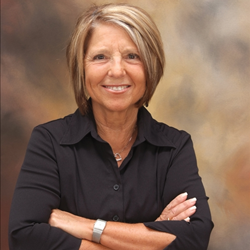 Deb Roberge has played an active role in dentistry for more than 40+ years, working "in the trenches” in virtually every area of a dental practice as well as owning a dental lab. Roberge realized that she had an affinity for working with team members, and her training in mediation and arbitration techniques served to further support her involvement. In 1997 Roberge created a dental-only placement agency with a unique twist: not only understanding the special concerns related to team integration but also supporting the employer and employee on proper hiring systems, interviewing techniques and team retention. Her format was so well received by dentists in metro Phoenix that her methodology moved to a national level, creating a dental placement franchise system. Roberge’s mission was to coach others to develop skills that make the process stress-free and hiring decisions more effective. She has placed hundreds of happy long-term team members nationwide.